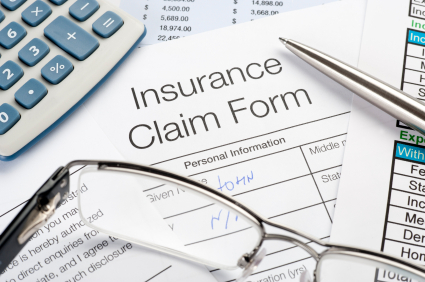 What should I do with health insurance claims? Home / FAQ / What should I do with health insurance claims? Usually, health insurance claims are submitted directly to your health insurance provider. Your best bet is to look through your health insurance policy carefully and see what it says about claims. There will most likely be a dedicated P.O. Box at the health insurance company’s address to which all claims should be sent. Compare health insurance quotes right here, right now! Just put your zip code into our box above and we’ll provide you with quotes from top health insurance providers within minutes. Claims for reimbursement from health insurance providers are often very detailed and specific. These days, you can just go to your health insurance company’s website, click on the “Claims” tab, and find out all you need to know. This often includes the ability to download the blank claims form that you can then fill out and mail in. Additionally, technology allows policyholders to track their claim throughout the claims process. Once your provider receives your claim, it most likely will give updates through its website so you can follow the claim’s progress. You’ll probably need to create a login and password to see your claims, as this is highly personal information that the provider will have protected from the general public. How do I know whether I need to submit a health insurance claim? It all depends on your health insurance policy and provider whether you’ll ever need to submit a claim. As we always recommend, be sure to read your policy, including the fine print, when you first sign up and read any updates you get through the mail. With some policies, the healthcare provider’s office will submit the claim to the insurance company for you, and then bill you for anything not covered. With other policies, you’ll only need to submit a claim if you see a doctor out-of-network. If this is the case, you’ll have to pay the full cost of the service or visit at that time and then submit the claim for reimbursement from your insurance provider. Out-of-network expenses are usually not paid back fully–instead, re-payment typically tops out at 80% of the initial expense, leaving you footing the bill for 20%. How do I submit a health insurance claim? As mentioned, most health insurance companies provide policyholders with the ability to download claims forms directly from the website. Otherwise, you could probably call up the company or your insurance agent and have them mail or fax one to you. For instance, if you’re a policyholder with Horizon Blue Cross Blue Shield New Jersey, you’d go to the company’s website for policyholders and then click on the “Forms” tab on the left-hand side of the page. The claims are all there under the “Downloadable Forms” link. Members can choose among medical claim, dental claim, and prescription claim forms. Be sure you know what type of policy you have so you submit the correct claim. If you are unsure, call your insurance representative and have them help you through the process. Medical providers have more steps to submit claims on their end since, as the State of Maine’s Department of Insurance explains, they might have to submit electronically to the insurance provider, a third-party billing company, or a claims clearinghouse. Always ask your doctor’s front office staff if you’re not sure which one of you is responsible for submitting your claim first. The first thing you should do if your claim is denied is find out why it was denied. Call up your insurance company and ask. There’s a chance you just failed to fill out the claim correctly or forgot to include the necessary documentation from the doctor. Billing errors do happen, and they can happen quite frequently, so don’t just assume you’ve been denied and you can’t do a thing about it. For instance, your doctor’s office may have simply put the wrong procedure number on the bill. If this is the case, you will simply have to pay out of your own pocket for these healthcare expenses. This is the reason you must be familiar with your policy and what it covers when you sign up for the plan. Need to switch insurance companies? Get health insurance rates for other providers in your area when you enter your zip code in the box below. How does health insurance claims processing work?